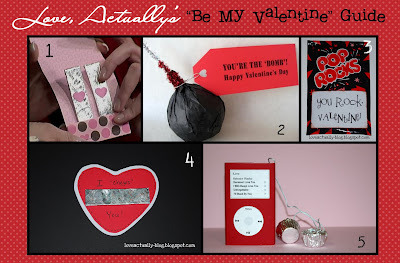 So you know those cheesy clever valentines that you used to get in elementary school, and perhaps the ones you help your kids make for their school parties? You do? Good. 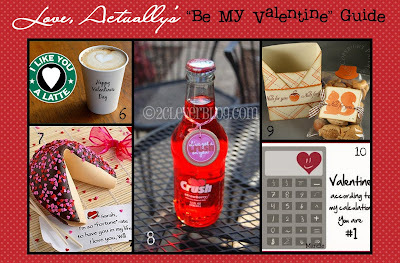 I think it'd be fun to make one of these for your valentine this year! 4. I Chews You - gum..."chew"s...get it? 5. The "iLove" - *tutorial* "iLOVE" you! 6. I love you a latte! 7. Fortune Cookie: ..so "fortunate" to have you! 8. Crush on You! - free printable labels! 10. As a practical gift, give a new calculator with attached tag "According to my calculations, you're #1!" Now, you've got to watch this video! Emily Hover from Pioneer Party based out of Utah has some more fun and "cheesy" ideas for you! AND--- I've prepared a PDF for you which has a whole bunch of other ideas in text format, just in case you didn't see something here that struck your fancy. Thanks for all of the ideas! My sister and I just finished the iLove Valentines and they are adorable. Totally worth the work you put into it! These are all such cute ideas. Hey it is really very fantastic and cute idea by you. Thanks a lot for sharing and I wish my valentine day will be the best this time... Waiting for it eagerly. I'm featuring this post at somedaycrafts.blogspot.com It will drive more traffic your way! Hey, it's Emily from Pioneer Party! 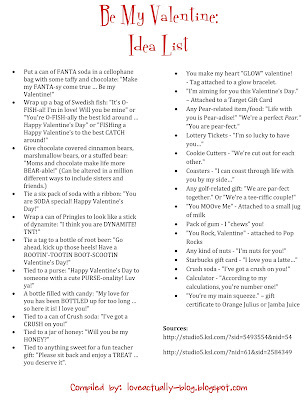 Thanks for sharing our ideas with your readers... :) We will be on Studio 5 again Wednesday the 27th (grab and go gifts) and Feb 11th for more Valentine ideas. Check out our website for updates at www.pioneerpartyandgift.com. Thanks again!